Modern Quilting to Tomomi is the arrangement of colors and fabrics. She made this sampler quilt in 2009 with Japanese-looking fabric with the idea of creating different looks from your standard old block. Still, she has mixed feelings about this quilt. Some blocks she is thrilled with, others (Tomomi thinks) could be improved with a bit more practice. 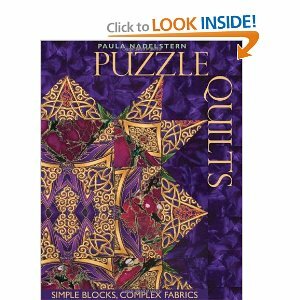 Tomomi finds inspiration in a book called "Puzzle Quilts". After reading it, she found herself thinking of quilting and creating differently. Karen, of My 4 Lil Girls, is creating 2 modern quilts right now! Modern quilting, to Karen, is about simple, striking design. Although she has a stack of quilt books given to her by a lovely American friend, they are still a bit traditional in style (in a beautiful, nice way). It's the very set patterns that make them traditional. Modern quilting, however, just grabs her eye and makes her say "Wow!" when she sees them...kind of like the difference between viewing a Da Vinci and a flashy Picasso. 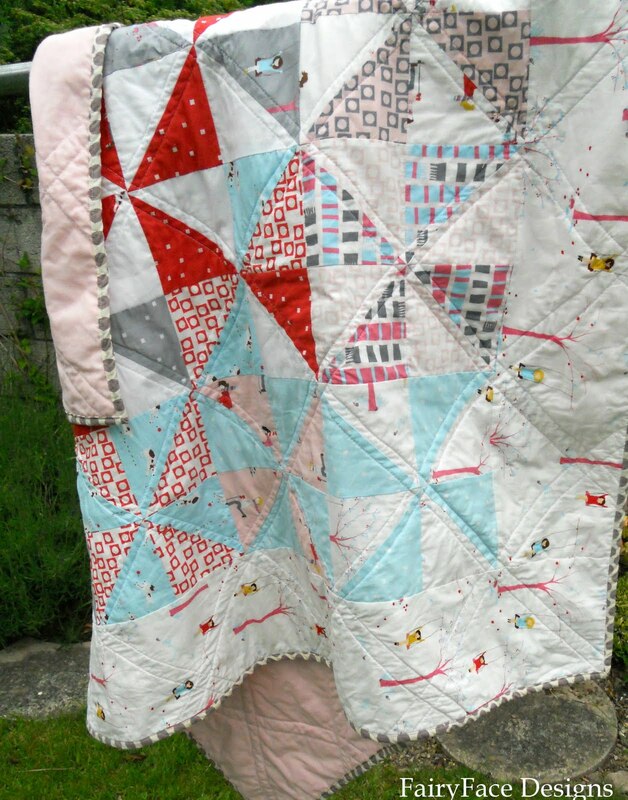 In particular, Karen is WOWed by these Red Pepper Quilt designs: Log Cabin or Paper Pieced Triangles. Karen's first attempt at modern quilting is this pinwheel quilt using colors that are brighter than her usual palette. It was inspired by Sarah's Pinwheel Pips quilt.